Yesterday's outfit. My sister got me this faux leather vest for Christmas. 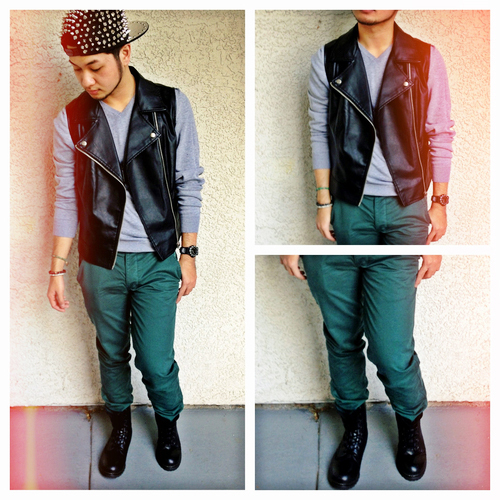 I wanted something about rocker-chic, but with some color so I decided to throw on a pair of forest green chinos. I'm pretty happy about the turn out of this outfit. It's always nice to switch up my style.